Whether you're selling entirely online or you operate in a brick-and-mortar store, properly marketing your products and services is crucial for bringing in new leads and converting more clients. However, effective marketing can be time-consuming. Between social media, your blog, and traditional promotion pathways, it can take a lot of effort to start to see results. Unfortunately, if you begin to slack on your marketing, you may start to feel it in your bottom line. Even if you let just one strategy slip a bit, it can result in lost customers, fewer sales, and even unhappy customers and clients. Whether you're a small business owner or you're managing an entire team of marketers, it can be difficult to stay on top of everything. This is where marketing automation can come into play. Through automating some of your processes, strategies, and tactics, you can take some of the pressure off your shoulders, ensuring the tasks still get done while allowing you to focus on other things. However, properly implementing automation into your marketing strategy is crucial. Here is a look at four ways you can include automation in your marketing strategy to start seeing better results. One of the most basic automation tools you can implement is an on-site opt-in form on your website. By setting up a simple sign-up page, website visitors can add their contact details to start receiving your newsletter or other marketing materials. Because it takes minimal effort to add an opt-in to your website, it can easily begin collecting leads for you without much time on your end. An on-site opt-in allows you to connect with website visitors whenever they're ready to share their contact information. By simply putting it in place, visitors can access the sign-up whenever they're ready. From your one-time effort of setting up the sign-up page on your site, you're able to collect high-quality leads to keep in touch. You can include opt-ins on your site in a number of ways. The most basic way is to include a newsletter subscription sign-up somewhere on your homepage, in your sidebar, or even as a pop-up when your visitor first gets to your site. However, these more basic sign-ins can give you very little information about your target audience. To learn more about the leads who are subscribing to your email blasts and newsletters, you can include different kinds of opt-ins throughout your site. For example, offering specific content upgrades in exchange for your visitor's contact information can help you learn what information that individual is looking for. When you have various entry points for your newsletter, you can provide each individual with more specific content. Include at least one on-page opt-in for your subscription list to allow yourself to collect leads without much additional effort from you. With the right opt-ins and sign-up prompts, you can continuously collect new leads and customer information without needing to invest more time and energy. 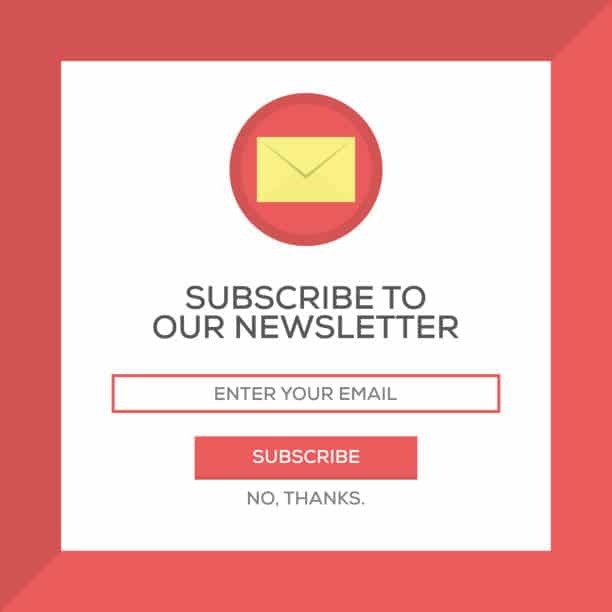 Once you get a lead to sign up for your newsletter or emails, you want to provide them with the content they need to make a smart purchasing decision. However, because each lead may enter your sales funnel at a different stage of the buyer's journey, you need to provide them with unique information and content that can help them move to the next phase. If you're supplying your leads with a one-size-fits-all approach, you can't expect to see great results. However, trying to keep track of where each individual is in your sales process can be extremely difficult. If you have more than a handful of customers or subscribers, trying to ensure they each get the information they need can be nearly impossible. To help you monitor progress and implement different campaigns, you can use an automation tool. Automation can help you segregate your email lists to start sending better content. By setting up different workflows and processes, the automation tool of your choosing can begin to track and record the different behaviors and engagements that your leads have. When you identify what they're looking for, what content they're interested in, and what needs or fears they have, you can provide them with additional information and resources to move them closer to the purchasing phase. By using automation in your email marketing, you're able to establish different lists based on the behaviors of your target audience. When a lead signs up for a webinar, clicks a link in your newsletter, or makes a purchase, you're able to record this information and begin to develop a profile of that individual. Based on their past habits, you can send more specific and detailed content to move them to the next step. 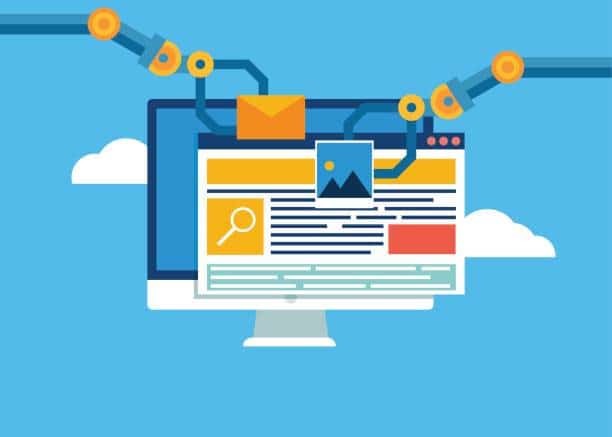 To use automation in your email marketing, you need to develop a series of workflows or campaigns. However, you don't want to jump in too deep before you truly understand your audience's behaviors. If you don't already have automated campaigns developed, start out small, such as with a subscription entry campaign for new leads. From there, you can begin to build based on the customer behaviors you discover. Social media marketing can be one of the best tools for attracting new leads, connecting with current customers, and building long-term relationships with your clients. However, in order to see real results from your social media profiles, you need to stay active. Even with a full social media team, ensuring you're posting consistently can be a challenge. Social media moves quickly. Depending on the platform and the algorithm associated with that account, missing even a few days of posts could make it harder for you to appear in front of your target audience. However, if you're a small team, you probably can't afford to ensure someone is constantly monitoring your accounts. Automation can allow you to schedule certain posts before they need to be sent out. This can allow you to create a social media strategy that you don't need to implement by hand. By scheduling your posts, you don't need to worry about an employee remembering to log on and share your content. However, automation can be tricky with social media. When you schedule your posts, you run the risk of sounding like a computer. If you're simply posting links to your website or your content without providing context that is interesting and engaging, you're not going to reach your target audience. 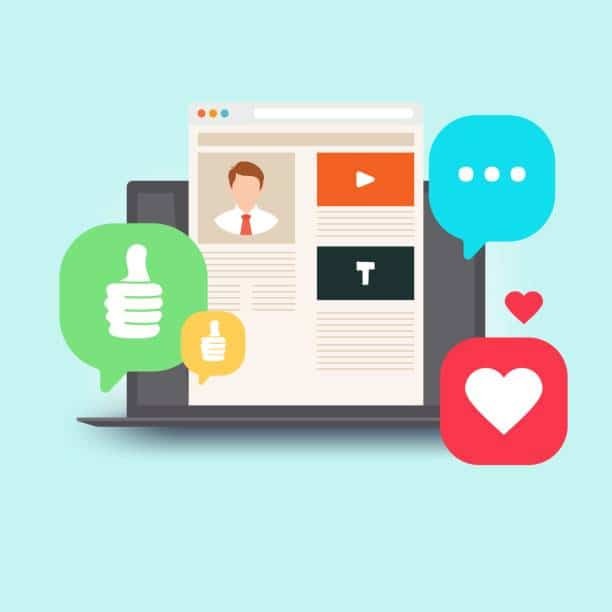 Because the success of your social media depends on how well you can connect with your target audience, you need to ensure your posts are strong. The best way to implement automation tools into your social media strategy is to schedule a few posts each day but still take some time to go back and establish genuine conversations with your fans and followers. While you can schedule your posts, you will still want to log on to your accounts to check for responses, questions, or feedback from your audience. In order to get your audience engaged, you need to be engaged as well. Effectively marketing your brand or business online often takes many different techniques and tactics. From content marketing to social media marketing, properly reaching your target audience means you need to understand all the behaviors, preferences, and needs of the individuals you're trying to connect with. Unfortunately, this can be difficult to do. 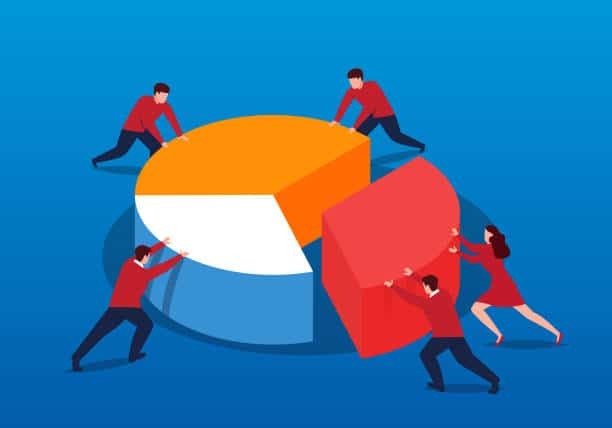 If you're trying to track the effectiveness of each marketing tactic you create, you will spend a lot of your time trying to find and compare numbers and statistics. Because these metrics can change from hour to hour, it can be incredibly difficult and time-consuming to keep up. However, with the use of automation tools, you can pull reports whenever you need them. 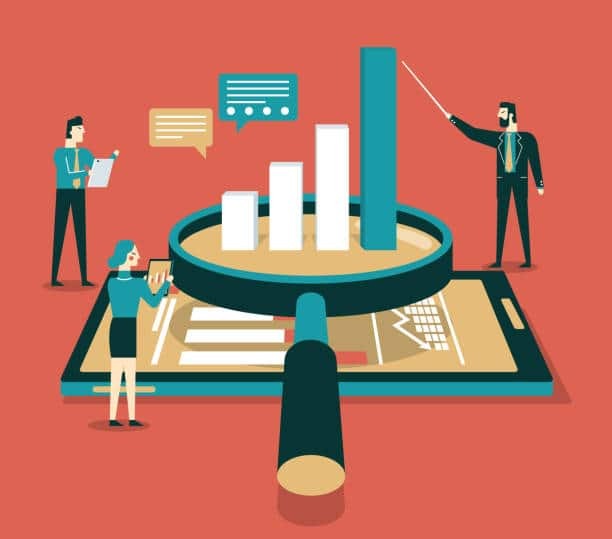 Analytics tools, such as Google Analytics, work within the background of your website to pull data and statistics for you. Rather than requiring you to track your website visitors or page views yourself, you can log in to your analytics tool to pull a report based on the time period you want information for. This can dramatically save you time and provide you with insights you may not have been able to record yourself. Tracking your analytics can help you determine which marketing strategies are effective for your brand. When you know how your audience is getting to your site, how much time they're spending browsing your content, and whether or not they're converting into customers, you're able to refine your marketing strategy to better fit their needs. Automating your analytics can help you identify which marketing tactics are only wasting your time and money. When you use this information to better understand your website visitors and target audience, you can cut the excess techniques or strategies and start fine-tuning the pieces that work to establish better connections. Marketing is a time-consuming - yet crucial - part of running any business. No matter the size of the business or the industry you serve, the more efficiently you can market your business, the better results you will see. With these four automation techniques, you can better provide your target audience with the content and information they need to make an intelligent purchasing decision.